Welcome to Purpora Engineering, providers of equipment for Tank Testing, Pipeline Testing as well as Vapor Recovery and Training. Since 1978 Purpora Engineering has been continuing to follow its late founder Bill Purpora’s mission of helping contractors, oil companies and regulators achieve a cleaner, safer, less polluted environment. 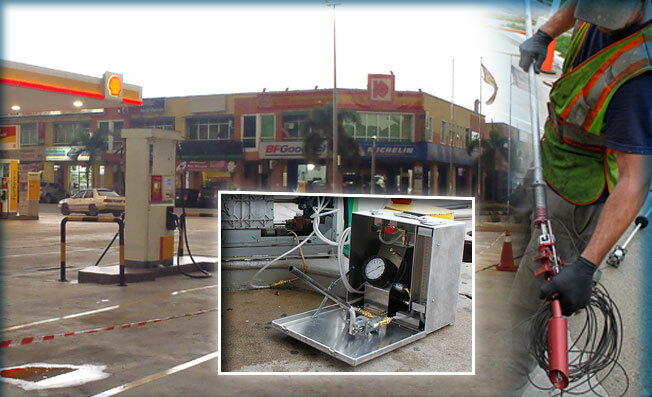 The Petro-Tite unit has long been established as a market leading Hydrostatic testing solution for pipelines installed at gas stations and industrial facilities. This self contained unit allows for testing pipeline and leak detection equipment quickly and effortlessly exceeding all EPA requirements. Since the addition of the ALERT tank testing system, Purpora Engineering has been able to provide a world class tank testing system to all of its customers. The ALERT Tank Testing equipment is one of the only systems capable of detecting water ingress into Ethanol fuels, allowing operators to potentially detect issues BEFORE phase separation occurs. Go to Training & Certification for registration. Private Boot Camps are also available for your organization, please contact us to set up your personally tailored training session. Purpora Engineering also provides training solutions for a wide variety of industry requirements from Stage 1 Vapor Recovery testing, Tank and Pipeline testing as well as our Boot Camps where individuals are trained in all aspects of gas station operations and compliance requirements. In addition, Purpora Engineering offers legal and consulting services as requested. Email [email protected] for rates and details. Allow us to help you with your equipment or training needs, call us today at 262-536-4081.